This movie camera was produced in 1933. It was equipped with a lens Hugo Meyer Gorlitz 1:4,5 3 inch; its weight is 1.050 kg., and its measures are the following: 32x121x230. The body is in metal. My camera need a cleaning inside. 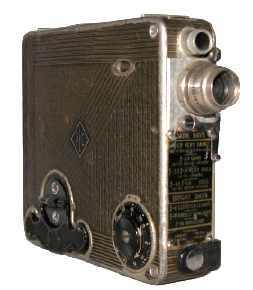 The movie camera is equipped with a lateral simple view-finder.